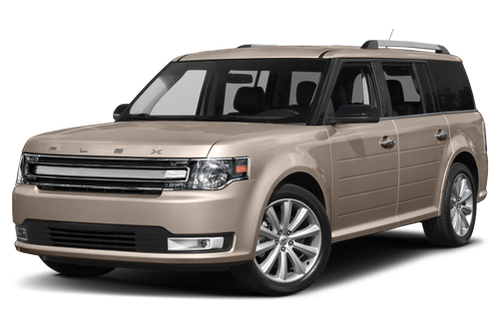 Have You Driven the 2019 Ford Flex? Roomy and comfortable plus several great features that make this car great for family and long trips. We own a 2014 and love the car, just looking for a newer model and fewer miles on it. The 2019 Ford Flex is very roomy. Got mine with the vist roof . It is awesome! Should keep the grand-kids from getting car sick because it just opens up the whole vehicle, even the third row. It has so many really neat gadgets. the fact that it parks itself is my favorite. The Flex really handles nice & the safety features are wonderful. Alerts you if you are getting too close to the vehicle in front of you. It is the most comfortable vehicle I ever owned. This is my fifth Ford Flex. It is one of the most comfortable cars I have ever owned. Talk about room, it seats 7 people and still has room for luggage. Good gas mileage for such a large car. It isn’ the fastest car on the market but you don’t buy it for speed. I take it to Florida (1,600) miles one way, and it is very comfortable. The rumor is that this is the last year Ford is making it. Don’t know what I will get next. This is my second Flex! I love the Ford Flex! So much so that I bought a second one! I traded my first one in just because it was time for a new one. The Flex is reliable, comfortable, and very spacious. We use this car for everything and take it everywhere! It meets our traveling requirements. It meets our traveling needs, we like a lot of cargo space. We also like the all wheel drive in snowy weather and for launching our boat. Our dog likes all the space in back She likes to look out the rear window when we back out of the garage. Comfortable on trips and daily driving, almost like sitting in a good chair at home. My second Ford Flex ; has been reliable and overall a great vehicle with loads of hauling space for bulky items. "Try it, you'll like it"